I love adult coloring books. I really do. To be honest, I’ve been working on that more than knitting right now. I’m still knitting, of course, but I need to give my hands something else to do at the moment, so coloring it is! I got Taste of Home’s Color! Winter 2017 coloring book by Mara Penny at a grocery store check out line. It was a total impulse purchase, of course, due to the strategic placing of said book. I paged through it. 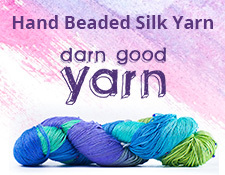 They had a page devoted to yarn and knitting notions. Yup, totally bought it. The picture above is a section of the page, but here is my completed page below. This was a fun page to color, mostly because of the subject matter for me. Still, it was fun to get creative and to get my thought processes churning on how I was going to fill out each skein, color each button, where to place colors, etc. I love stuff like that. I love songbirds, and have feeders up for them in my yard, so they had to get some coloring love, too. Do you color? If so, awesome! Show me your work! If not, and if you’d like to, it’s not hard to get started. Here are the supplies I use. A good metal pencil sharpener. A drawing board to keep my pages flat and to give me a hard surface to color on. A Prismacolor Colorless Blender pencil to even out lines and shading. Otherwise, here are some of my tips and tricks into making adult coloring easier. Use GOOD colored pencils. Don’t use the Crayola ones, and don’t use the Prismacolor Scholar once, too. Staedtler Noris Color pencils are great pencils, too. They erase ok. As a rule of thumb, don’t skimp on your pencils; get artist quality. Get a GOOD sharpener. A simple metal sharpener is great. Sometimes they have a small bore for general sharpening and a larger bore for fine tuning your point. A sharp pencil is a happy and good pencil for coloring. Get a GOOD eraser. There are tons of artist pencil erasers to choose from. This is one case where Prismacolor’s Scholar line is ok. There are so many themed adult coloring books out there. Pick one, pick a few! Good tools are key to less frustration when it comes to coloring in your pages. Seriously. I hope that a few fellow adult coloring book artists are out there, and maybe I inspired more of you out there to join our ranks. It really is a lovely and relaxing activity!